In addition to other business interests, UCF Directors Stan Kontos and Peter Gardiakos are also co-founders and Directors of the successful Star Pharmacy Group (SPG) comprising pharmacies in SA, NSW and Queensland. In their desire to “pay it forward“, Stan and Peter have structured SPG as a socially responsible business to create positive social change via UCF. To that end, UCF has been supported from the beginning by donations from selected pharmacies within SPG. This vital underpinning of UCF funds contributes considerably to our stability and capacity – making over 100 small grants with IMPACT! since inception. Gratitude Springs bottled water is another initiative of SPG which began in the summer of 2012-2013. This bottled water is sold in selected pharmacies within SPG and 50 cents from every bottle comes to UCF. This resulted in a contribution of $5,040 to UCF in the 2014 calendar year. Water sales contributed $3,088 to UCF in the 2015 calendar year. Water sales contributed $3,203.55 to UCF in the 2016 calendar year. Water sales contributed $3,096 to UCF in the 2017 calendar year. Water sales contributed $2,064 to UCF in the 2018 calendar year. The money boxes contributed $4,229 to UCF in the 2014 calendar year. The money boxes contributed $3,054 to UCF in the 2015 calendar year. The money boxes contributed $3,591.50 to UCF in the 2017 calendar year. The money boxes contributed $4,364.95 to UCF in the 2018 calendar year. 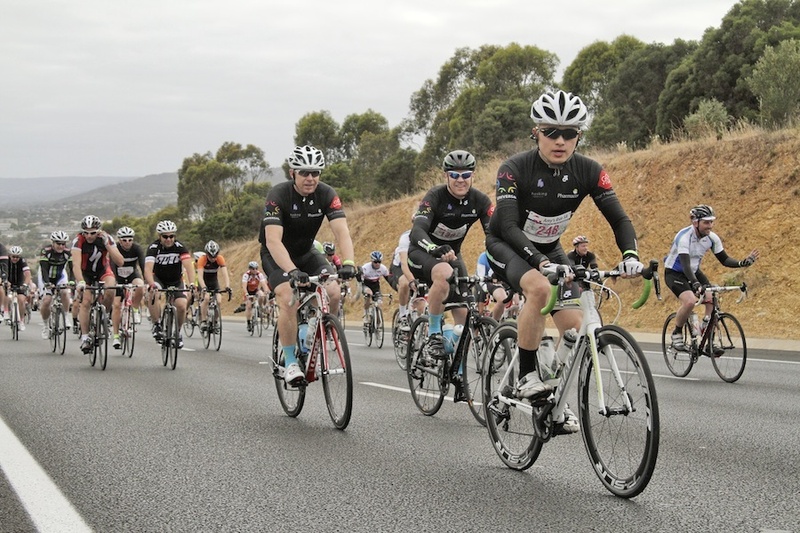 In November 2014, a few SPG cycling enthusiasts decided to enter Amy’s Ride in South Australia and, as part of their kit, put the UCF logo on their right jersey sleeve as a promotional gesture. 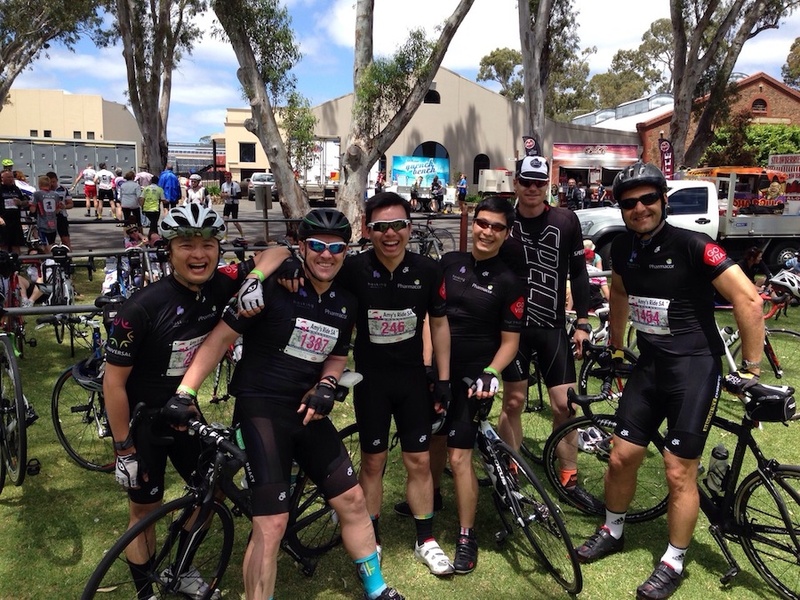 Following their success, friends asked to join the team which then led to 10 cycling fiends committing to the Coast to Coast – a Glenelg to Victor Harbor ride of 120km (!) 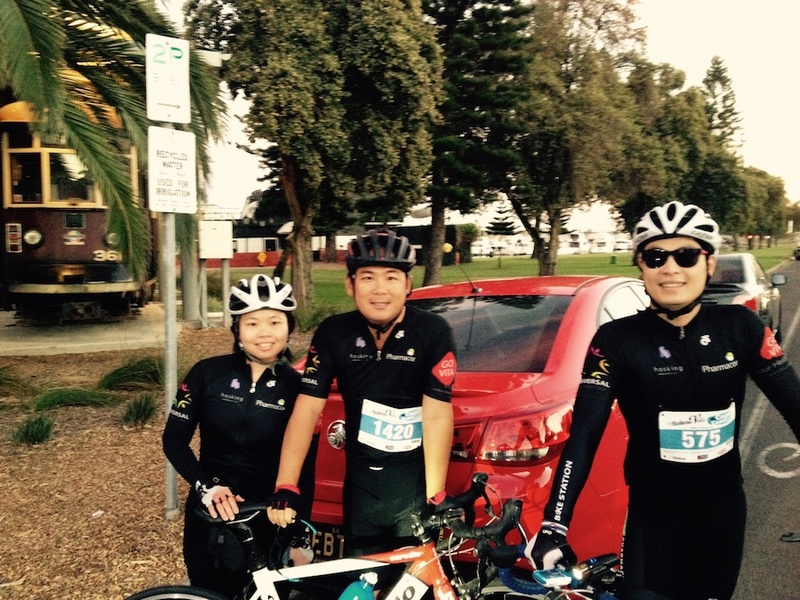 on Sunday 22 March 2015. Each year since 2012, the SPG Queensland pharmacies have run a raffle at their Christmas party with proceeds to UCF. In December 2015 the Queensland SPG Christmas Raffle donated $540 to UCF – well done everyone! In December 2016 the Queensland SPG Christmas Raffle donated $745 to UCF – our thanks again to Lien Ly and her husband Hung Chiem who organise this! MSI Taylor is another socially responsible and community aware organisation which has offered Pro Bono audit services to UCF. This represents a large saving for UCF and we are grateful for MSI Taylor’s generous support and the initiative of Matthew Harris, a Partner and Director of MSI Taylor Business Services, in proposing UCF as a recipient of this service. MSI Taylor was founded in 1972 and the practice today consists of 7 partners and over 40 staff. They aim to help small to medium enterprises and offer a full range of accounting and business services. Goodwill Wine was started as a way of paying forward the support and generosity shown to David Laity by charitable organisations and the public after the Black Saturday bushfires of 2009.